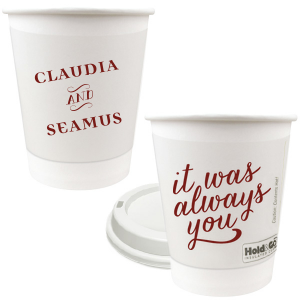 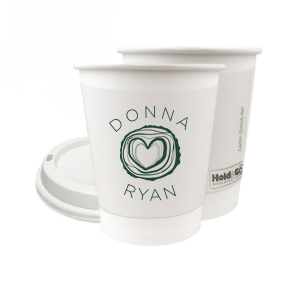 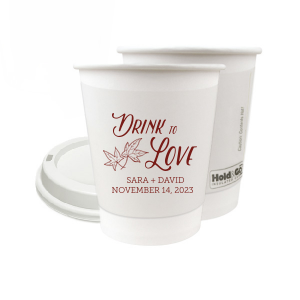 Add a special layer of personalization to your party drinks with customized 8 oz paper coffee cups. 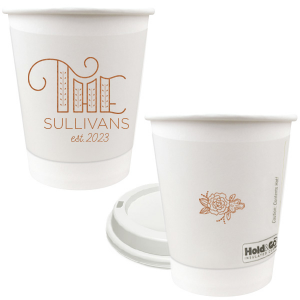 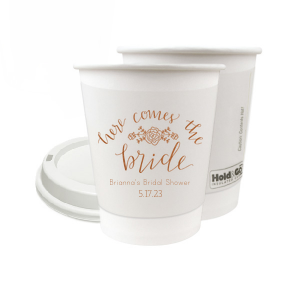 The hot drink station at your wedding reception or party will look totally pulled together with your personalized 8 oz paper coffee cups with lids on display. Our designer curated galleries have styles for your customized 8 oz paper coffee cups for tons of occasions—anniversary parties, destination weddings, kid birthdays and so much more. 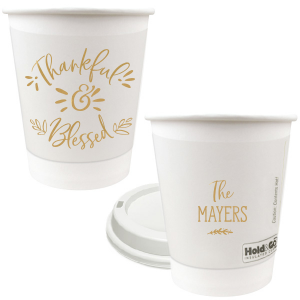 Go with a classic monogram or opt for a fun, on-trend phrase like “best day ever!” Whatever the theme or event, you can find the perfect custom to-go cup design.You can even upload your own design for the ultimate personalized 8 oz paper coffee cup. 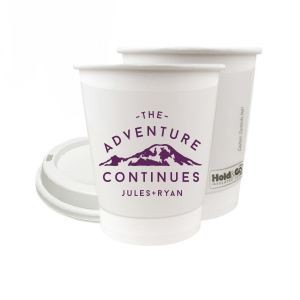 With over 50 screen printing colors, your personalized 8 oz paper coffee cups will coordinate with your event color palette effortlessly. 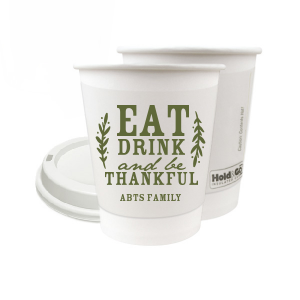 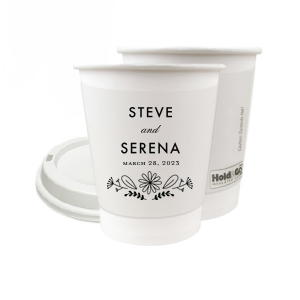 With lids included, your custom designed 8 oz paper coffee cups are easy for your guests to take to go as well. 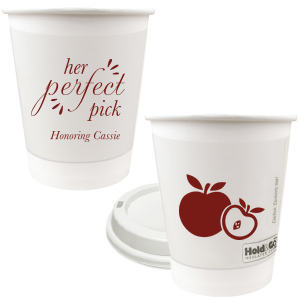 Get started designing your personalized 8 oz paper coffee cups with lids today!